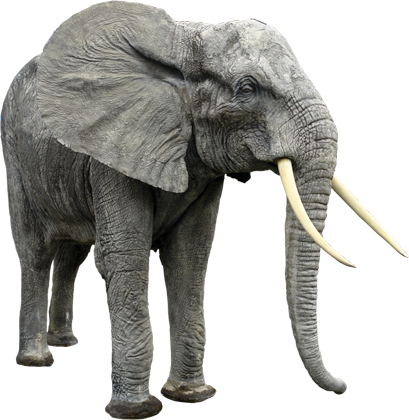 African Elephants once numbered in the millions across Africa. By the mid-1980s their populations had been devastated by poaching, with numbers now only just above 10,000. The status of the species now varies greatly across the continent. Some populations remain in danger due to poaching for meat and ivory, habitat loss and conflict with humans. Elephants are important because their future is tied to Africa’s rich bio-diversity. Scientists consider African Elephants to be keystone species as they help maintain suitable habitats for many other species in savannah and forest ecosystems. The only way to save the African Elephant is if humans can slow the loss of natural habitat, strengthen activities against poachers and the illegal ivory trades and reduce conflict between human and Elephant populations. If we don’t do this the world’s largest land mammal may become extinct in the wild forever. One Elephant can eat 136kg of food everyday – That’s nearly 2 people! The Bornean Orang-Utan is now recognized as a different species from its Sumatra relative. 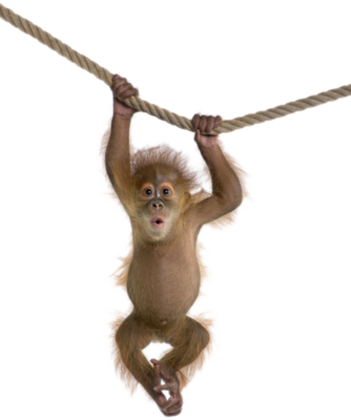 It is estimated that about one third of Borneo’s Orang-Utan populations were lost during the 1997/98 forest fires. On the Indonesian side or Borneo, populations of this subspecies are not faring well either. Although some populations live inside protected areas, illegal logging still takes place within these areas and hence remains a major threat to the survival of the species. The Sumatran Orang-Utan is the most endangered of the two Orang-Utan species, and differs from its Borneo relative to some extents in appearance and behavior. Found only in the Northern and Western provinces of Sumatra, Indonesia, the species is losing fast its natural habitat to agriculture and human settlements. The main reason for the dramatic fall in numbers of Amur Leopards is a combination of habitat destruction and illegal poaching for the fur trade. 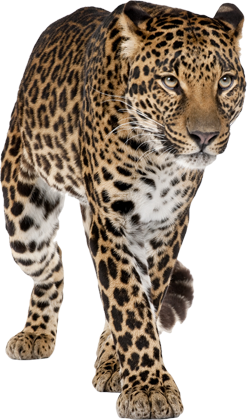 The distribution of the Amur Leopard has been reduced to a fraction of its original range. It once extended throughout north-eastern China and throughout the Korean Peninsula.  The species range in Russia was dramatically reduced during the seventies, losing about 80% of its former range. Still all is not lost. Even now large tracts of forest, which are ideal leopard habitat exist. If these areas can be protected from unsustainable logging, rampant forest fires and poaching of wildlife, the chance exists to increase the population of the subspecies in the wild. The Amur Leopards are directly related to the Amur (Siberian) Tiger whose numbers were as low as 40 but due to vigorous anti-poaching and other conservation efforts by the Russian government with support from many partners, including WWF, the Amur Tiger population recovered and has remained stable throughout the last decade. 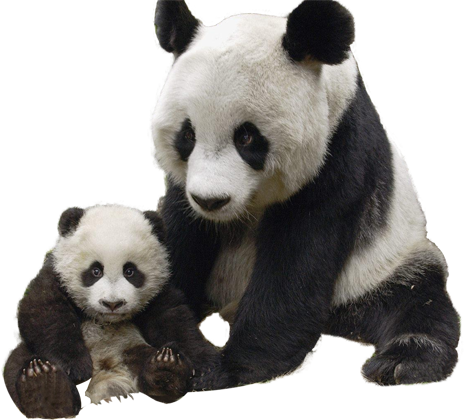 The Giant Panda is the rarest member of the bear family and among the world’s most threatened animals. Today, the Giant Panda’s future remains uncertain. As China’s economy continues to rapidly develop, this Bamboo-Eating member of the Bear family faces a number of threats. Its forest habitat, in the mountainous areas of Southwest China, is increasingly fragmented by roads and railroads. Habitat loss continues to occur outside of protected areas, while poaching remains an ever-present threat. Great strides have been made in recent years to conserve the Giant Pandas. By 2005, the Chinese Government had established over 50 Panda reserves. Protecting more than 2.5 million acres, over 45 percent of the remaining Panda habitat and more than 60 percent of the population. They have also maintained “Bamboo Corridors”, strips of undisturbed land through which the Pandas can travel comfortably from mountain to mountain is search of food. Pandas only digest 20% of what they eat, that’s why they have to eat a lot – nearly 15% of their own body weight everyday! Rhinos once roamed throughout Eurasia and Africa. They were known to early Europeans who depicted them in cave paintings. 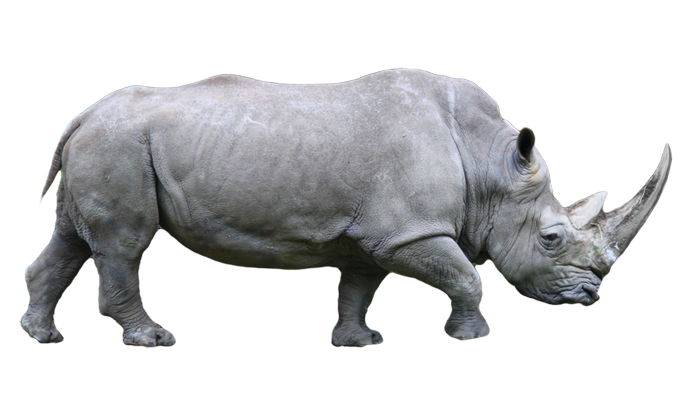 Within historical times, Rhinos were still widespread in the African savannas and the tropical forests of Asia. Today however, very few Rhinos now survive outside national parks and reserves. Since 1970, the Black Rhino population, native to Southern and East Africa has declined by 90% to less than 3,000. They are killed primarily for their horns, and to a lesser extent by loss of habitat. Arab nations have historically been a major market for the Rhino Horn to make ornately carved handles for ceremonial daggers called jambiyas. Trade of Rhinos has been banned for more than twenty years. Both the Javan and Sumatran Rhinos are listed on the IUCN’s red list as critically endangered and the Indian Rhino is also listed as endangered.